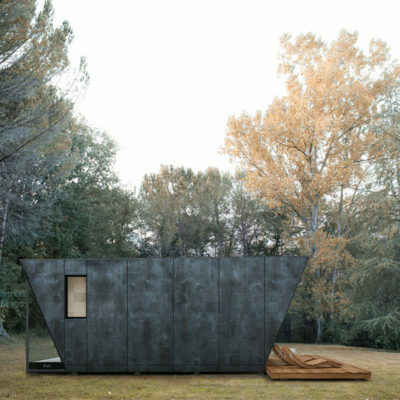 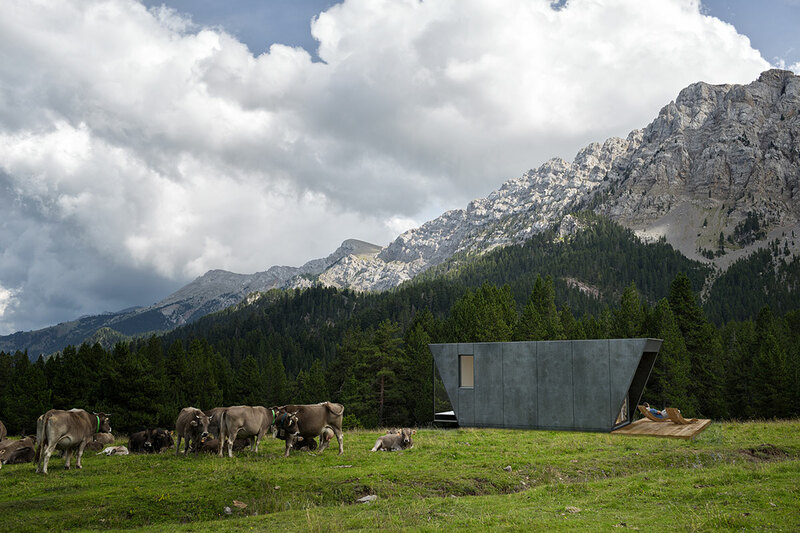 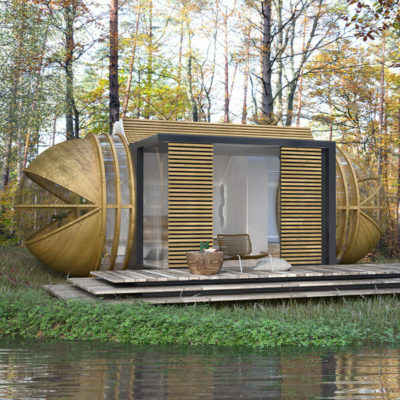 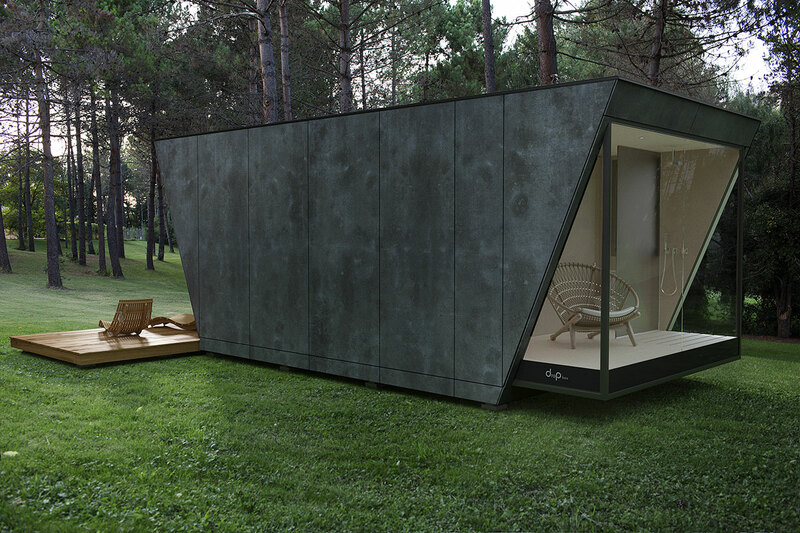 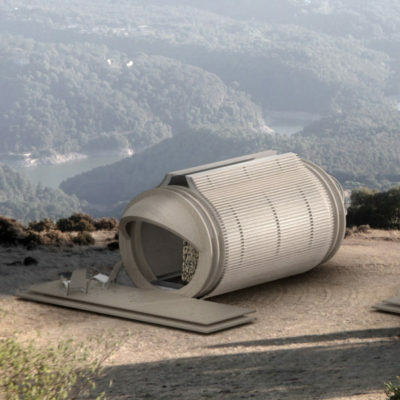 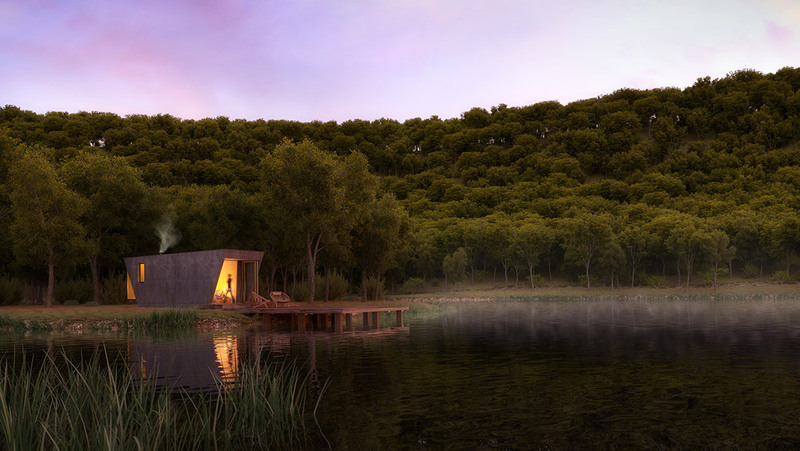 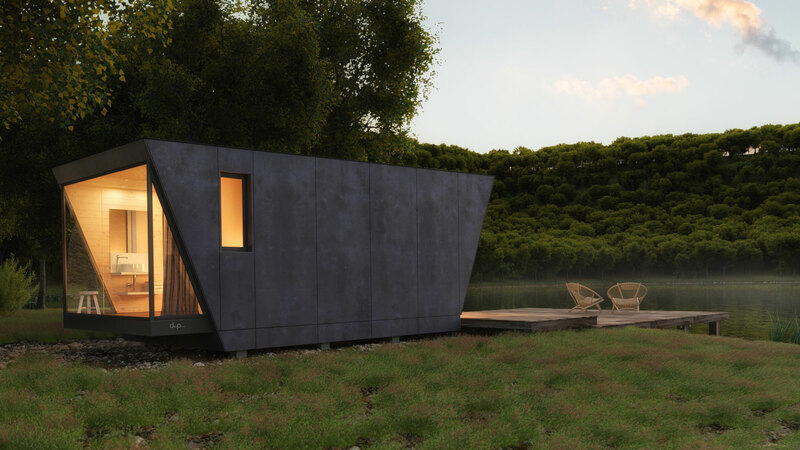 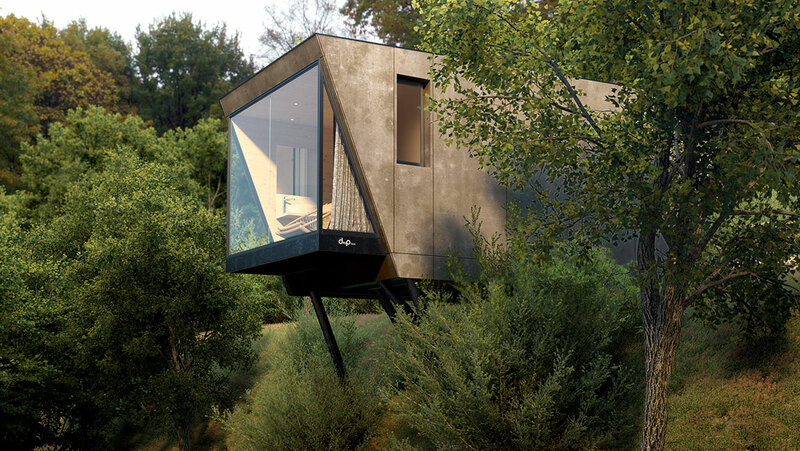 The DROP box 2N-350 modules are low-impact modular hotel suites that allow guests all the comforts of a luxury stay in a hotel, in even the most remote natural locations. 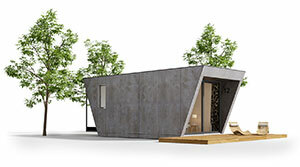 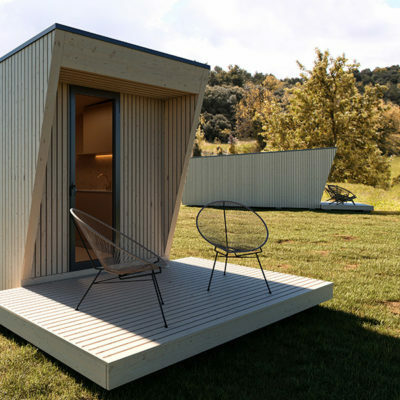 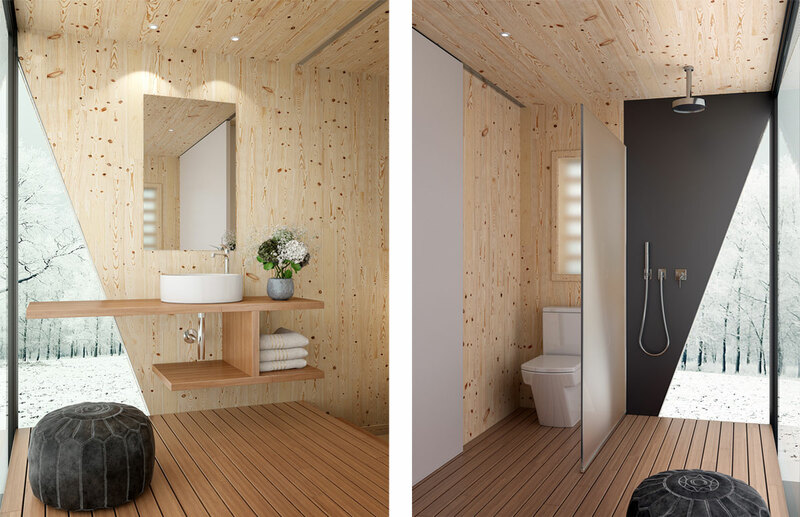 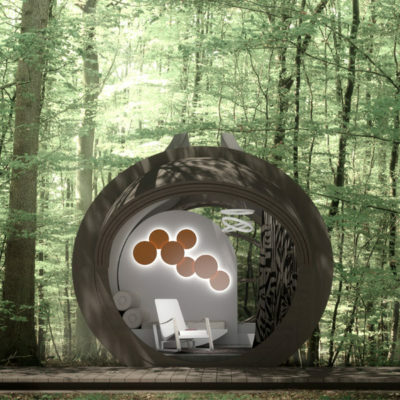 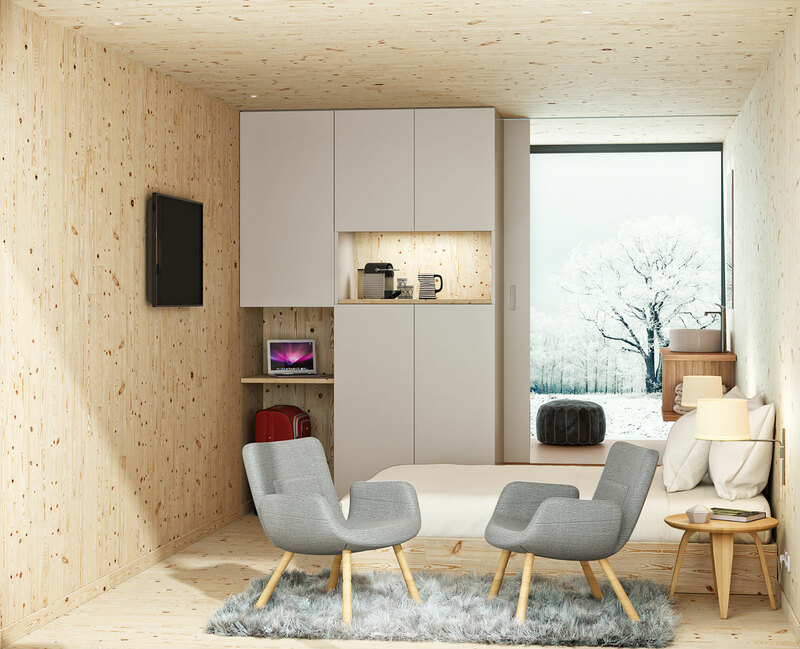 Constructed off-site out of wood and other lightweight, sustainable materials, the one- or two-bedroom with optional kitchenette suites can be quickly assembled with little impact on the surrounding environment. 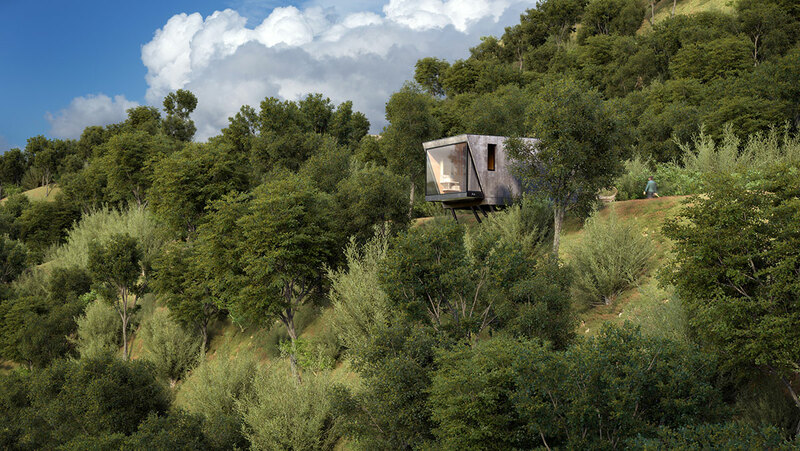 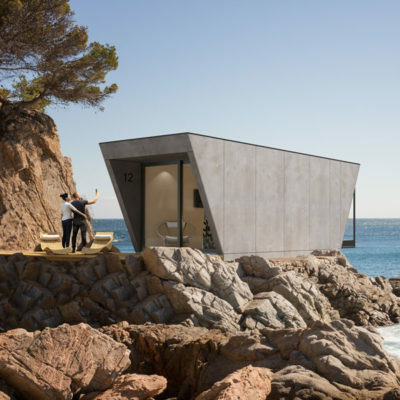 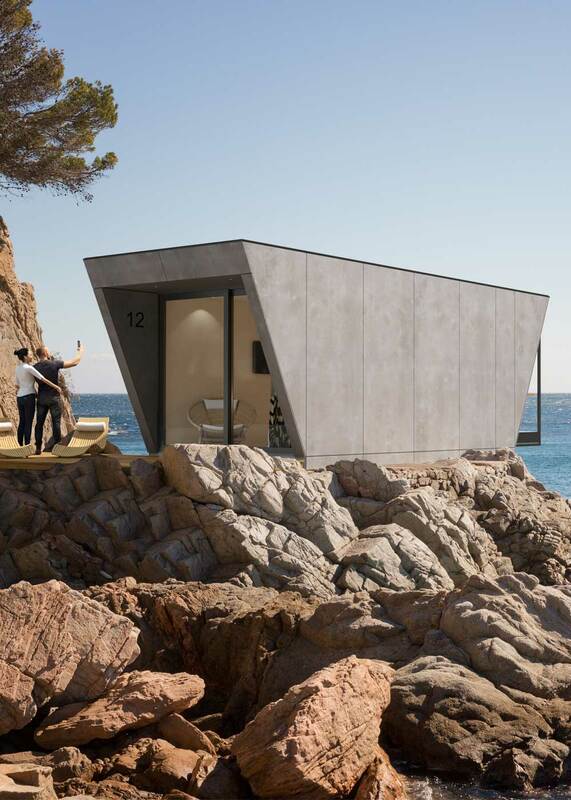 A panoramic shower and outdoor terrace, as well as their large windows, allow guests to fully immerse themselves into the environment, no matter if it’s a forest or a seashore, or why not a urban setting.